Uncork the bottle of what you were put on this earth to do. 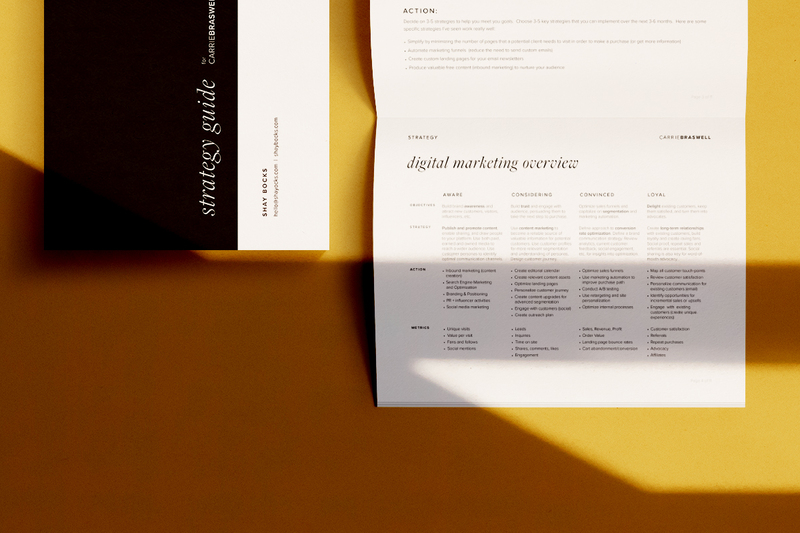 Through an incarnational approach to design, we can collaborate on a spirit-filled brand identity, strategic web design, and a holistic growth strategy that prioritizes intuition and flow in your business. Currently booking for June 2019. Branding is how you communicate your values and ideas to the world in order to reach those with eyes to see and ears to hear your message. It’s the heart and spirit of your business made visual. I take an incarnational approach to design, believing that words need flesh in order to be transformational. Want to see my soul set on fire? Let me discover who you are, through what you do, and then allow me to translate your core truth into a visual medium for others to understand and believe in. Uncovers your Core Truth and sets the tone. HEX, RGB, and CMYK codes. Header, sub-header, and body copy recommendations. Examples of how your brand identity will look in the real world. PDF detailing your logo system, usage rules, and more. 50% deposit is non-refundable and secures your spot on the schedule. 50% final payment is due once your logo is finalized or before any final files are delivered. Everyone knows that they need a website, but do you know how to leverage your website? I’m all about creating a clear compelling site, that will leverage your strengths: your content, your personality, and your products. Let's collaborate to design a website that works as hard as you do! This is the right package for you if you're looking for clarity around your strengths, creative + collaborative guidance, and persuasive purposeful design. Aligning heart and strategy through a discovery process. Includes one concept and two rounds of revisions. Examples: blog, about, contact, services, speaking, book. To ensure every piece of content is strategically placed. Based on your brand identity. Instead of WordPress theme customization. Collaborating with the best to provide these options to you. 50% final payment is due once your site is finalized and launched. Flow Strategy is a data-based, holistic approach to understanding growth phases of online business—rooted in ancient wisdom, cosmological patterns, and scientific theory. This process is all about creating a space where attitudes change about what it means to run an online business successfully. Because really—everyone knows that they need a website. Not everyone knows how to leverage their website to live fully into their intention and purpose in the world. Just you and me—you’ll spill your guts and I’ll make sense of it. Use my unicorn skills! Landing pages, sales funnels + more. Restructure your offerings, productize a service, create flow. Never feel alone when you want to take a new next step. I'll bring my experience and skills to meet your passion! All new projects start with a 60-minute Strategy Session, so that we can get clear on your goals and hash out a plan for whatever comes next. It can get intense, but it's also ridiculous fun. We'll identify your top three "Now List" items and plan a brief roadmap. You'll receive a quick written recap of key points to refer back to as you tackle your action list.